Sun Tzu has stated in “Art of War” (ancient Chinese military treatise) that “ If you know the enemy and know yourself, you need not fear the result of a hundred battles.”. This ancient phrase is still applicable today to depict the struggle between data security experts and hackers. To take any action in our defense system one must know how hackers act and that’s why one must know about Cyber Kill Chain! This will surely prove to be a milestone if you are seriously trying to defend your system because Cyber security certifications will not be of any use if you aren’t aware of the basics! So, let’s get started! 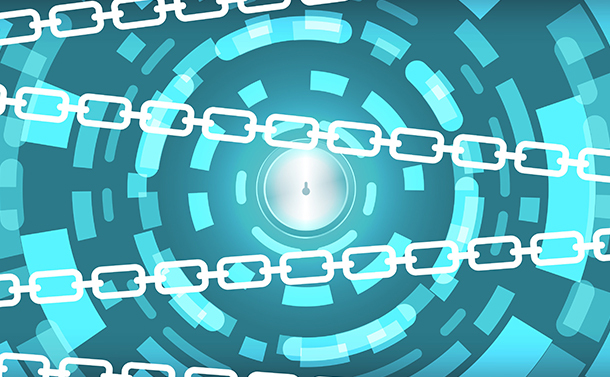 What Is Cyber Kill Chain? It can be defined as an ordered list of phases of a cyber attack starting at the earliest stage of planning and stretching to the attack’s conclusion. Hence, we can say that the Cyber Kill Chain gives a bird’s eye view of the hacking strategy. The Cyber Kill Chain is similar to an idea that was put forth by Lockheed Martin. In his model as well the phases of a targeted attack are described. Read Also : Is Cyber Security Improving Or Getting Worse? If the cyber security experts are able to break down how the intruder come inside their network and exploit loopholes, they can be used for protection of an organization’s network as well. There are seven phases in Cyber Kill Chain and each one has its own advantage! This chain is a lot like a stereotypical burglary. The attacker inspects the system before trying to infiltrate it. Once done, it goes through a few more steps before the actual loot! So, let’s get started and know about these phases! The first thing required for attacking is to identify and shortlist a target. This entirely depends on the motive of the attacker, for him victim can be anyone, an organization, community or even an individual. The reason behind this is that the target is someone with information which is considered valuable by the attacker! Firstly, he gathers as much information as he can about the victim. Once this is done, he searches for vulnerabilities to exploit and breach the network. As huge organizations have multiple layers of security, and have experts with cyber security certifications, this might a lot of time. However, the more knowledge the attacker acquires about its target, dangerous it is. Now, in the second step, attacker re-engineers some malware using a few sophisticated techniques that suit his purpose. Depending on the motive of the attacker, the malware exploits unknown(to the security experts of organization) vulnerabilities, to defeat the victim’s network’s defenses. Also, by advanced methods, he reduces the chances of detection via standard security protocols. At this point in time, the attacker knows his victim thoroughly. All he has to do now is send the malicious codes to him. The three most popular methods for this are email attachments, websites that lure him or via removable device. The transmission and eventually the delivery of his bundles is the next step, but then, these efforts have consequences and the attacker is also fingerprinted digitally. So, if the victim’s security system is efficient enough, he will know about the abnormal behaviour in the network and take necessary actions. Taking backups and adding a security layer will surely prove helpful. At this stage, vulnerability on the network or system are to be exploited. However, the defense capabilities that are customized according to the needs of organization are necessary in order to stop exploits at this stage. As soon as the attacker gets to the weak spot, he starts exploiting via scripted code that hides itself under the victim’s work environment. In this, a remote access backdoor is installed on the victim system. This allows the attacker to establish continuity inside the host’s environment. Deploying “Host-Based Intrusion Prevention System” can be of some use! It’s crucial to understand the motive of malware instead of acting against it. The defenders must take necessary actions before this step to avoid data breach! This is the last instance to take any action(for defender) by obstructing Command and Control channel. By doing this, adversaries can not issue any commands, and thus defenders can prevent their impact. Don’t forget that malware are seldom automated, usually it’s manual. General practice followed by any intruder is establishing control over several workstations to gather data without being noticed. Therefore one should have proper tools that help in defending from the same! Never forget that, longer anyone has this much access of your system, the consequences may be unbearable. The affected party must detect threats quickly, furthermore deploy tools and experts that will help them in long run. You should make sure that you are not lagging behind in anything that is necessary for your data security because if you do, no one will be able to help you! But if you think this something every attacker follows, then you are mistaken for sure! Every attack is unique and may add or delete the phases to Cyber Kill Chain in order to succeed! The cyber security experts say that they wish every attacker follows this so that the defending party may get a lot of time and opportunities to safeguard themselves! They have also conveyed that they need to keep an eye on cyber security news as well to stay on the same page! It is often seen that data security professionals get intimidated by the sophistication of any attack, rather they should focus on each step of the attack. Doing so will help them to understand that any attack is never one in a jiffy, it takes time! And if we are alert enough, we can stop the attack before it initiates. Always remember, always treat cyber attacks as continuum not an incident and possibly then you’ll be able to identify and stop them! What do you think? Do let us know in the comments section below! How To Delete Duplicate Images From Photos App on iPhone and Mac?